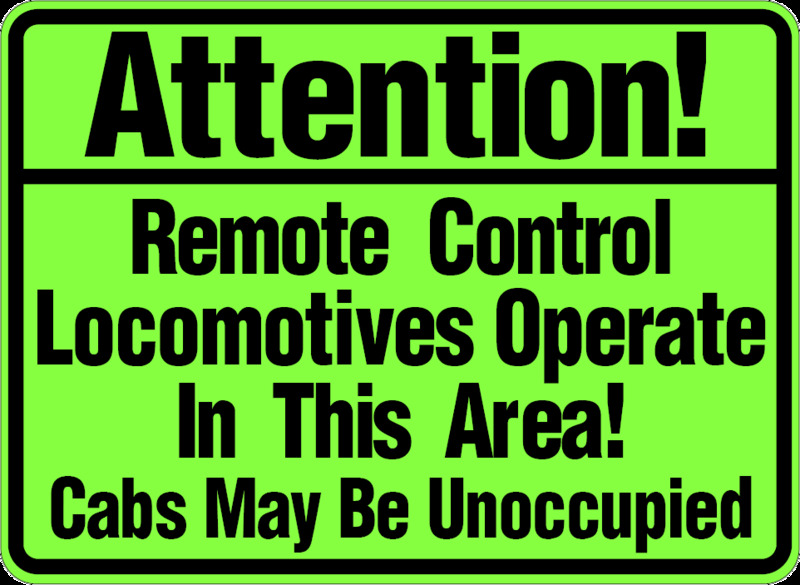 The following information is for UPRR Yard members (LCA 953(B)) of Local 202. We have experienced a problem with members wishing to use seniority moves within minutes of calling times, causing the carrier to enforce the agreement on us. As a result, voluntary seniority moves will need to be placed with the local chairman 24 hours in advance to the move being performed from this point forward. This is in line with the yard vacancy procedures agreement for the Denver Hub. If you wish to use one of your six annual seniority moves, please contact one of us at least 24 hours in advance of wishing to perform the move so we may notify UPRR Crew Management System. G. The designated Local Chairman will advise Crew Management System of the changes in those assignments twenty-four (24) hours prior to the effective date of the first change in assignment. You can read the entire yard vacancy procedures for the Denver Hub here. Local 202 is well aware of the training/familiarization issues that are ongoing for some time now in the Denver Service Unit. Together with the SMART-TD Colorado Legislative board we have held conference calls with the FRA to discuss them. The FRA is well aware of the issues that exists. The problem is not isolated to the Denver Service Unit. We are working on getting it corrected and have been told by Superintendent Their it will be corrected. REQUIREMENTS. DURING THIS CONFERENCE, ATTENTION WILL BE BROUGHT TO ANY CHANGES RELATING TO SAFETY,CUSTOMER REQUIREMENTS, PERTINENT NOTICES OR BULLETINS OR ANY LOCAL OPERATIONAL CHANGE. THIS CONFERENCE MUST BE HELD BEFORE PERFORMING DUTIES. THIS REVIEW IS INTENDED TO ASSIST THE EMPLOYEE IN PERFORMING HIS OR HER DUTIES SAFELY AND EFFICIENTLY. ANY TE&Y EMPLOYEE MOVING FROM YARD TO ROAD SERVICE WHO HAS WORKED STRICTLY IN YARD SERVICE THE LAST 30 DAYS. ANY TE&Y EMPLOYEE MOVING FROM ROAD TO YARD SERVICE WHO HAS WORKED STRICTLY IN ROAD SERVICE THE LAST 30 DAYS. ANY TE&Y EMPLOYEE MOVING TO A DIFFERENT TERMINAL OR WORK LOCATION ON THE SERVICE UNIT. ANY TE&Y EMPLOYEE CALLED TO WORK AS AN RCO WHO HAS NOT WORKED ON AN RCO ASSIGNMENT IN THE LAST 30 DAYS. IN THIS CASE THE EMPLOYEE MUST HAVE A CONFERENCE WITH A MANAGER OF OPERATING PRACTICES AND IT WILL BE DETERMINED IF EMPLOYEE WILL NEED A FAMILIARIZATION TRIP OR TRIPS. ENGINEERS WHO ARE SETBACK AS CONDUCTORS WHO HAVE NOT WORKED AS A CONDUCTOR IN THE LAST 30 DAYS WILL BE REQUIRED TO SCHEDULE A CONFERENCE WITH A MYO OR MTO. AN EMPLOYEE RETURNING AFTER A 30-DAY ABSENCE SHOULD ARRANGE TO MAKE CONTACT WITH A SERVICE UNIT MANAGER IN ADVANCE OF PERFORMING SERVICE IF POSSIBLE. THIS BRIEF CONFERENCE CAN BE FACE TO FACE AFTER GOING ON DUTY OR VIA PHONE. IF A MANAGER IS NOT AVAILABLE, A MESSAGE SHOULD BE LEFT ADVISING YOUR NAME AND ESTIMATED TIME TO BE ON DUTY. THE MANAGER WILL THEN MAKE ARRANGEMENTS FOR THE CONFERENCE. THIS CONFERENCE MUST BE HELD WITHIN 48 HOURS OF THE EMPLOYEE RETURNING TO DUTY. We are also asking those who feel they need additional familiarization (road or yard) to email their assigned manager, carbon copying Marlin (mar0318@msn.com) and Jeff (max4buffs@hotmail.com), letting them know that you are requesting it. Emails should read something similar to: "I have been on furlough for (Length of Time), my last start was (Date). My familiarity with the jobs in the Denver hub was limited then, and I don't feel comfortable working on my own. Out of concern for my own safety, and the safety of my fellow employees, I am requesting some additional familiarization trips before I mark up on my own." If you feel like you lack a basic understanding of railroad knowledge, please state that in your email as well. Section 8. Carry-Over. Where the requirements of the service do not permit the taking of personal leave days in accordance with a request, the appropriate Carrier representative will refuse in writing to grant the request. The number of personal leave days so requested and not granted may be carried over, but must be requested in writing and granted prior to February 1 of the following year. In lieu of carrying the requested personal leave days over to the next fiscal year, an employe may make further requests to take such personal leave days in the first year. Q-9: If personal leave days are carried over into the following fiscal year and the employe requests in writing the personal leave days prior to January 1 of the following fiscal year, as provided in Section 8, is it mandatory that his request be granted?